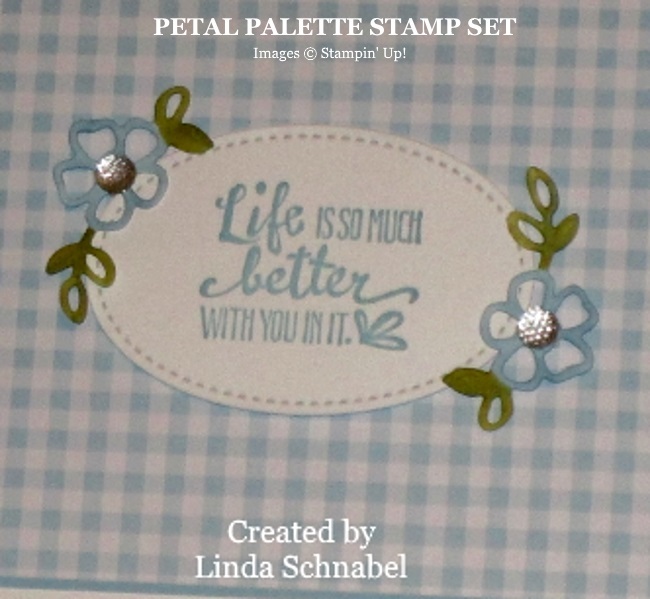 Simply Sunday: Guest Stamper … Peggy K.
Today I have a beautiful card I would like to share with you, that I received from one of my stamping friends, Peggy Kahle. Peggy is joining me at my retreat (she is from Oklahoma) and she sent this with her payment … what a treat for me!! 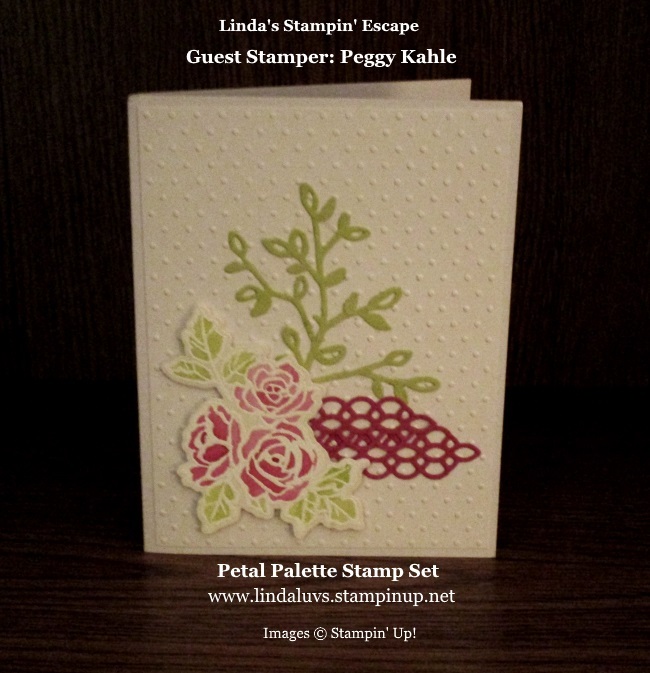 Peggy began by heat embossing the floral piece with white embossing powder … then watercolored the flowers. Such a soft and pretty look. 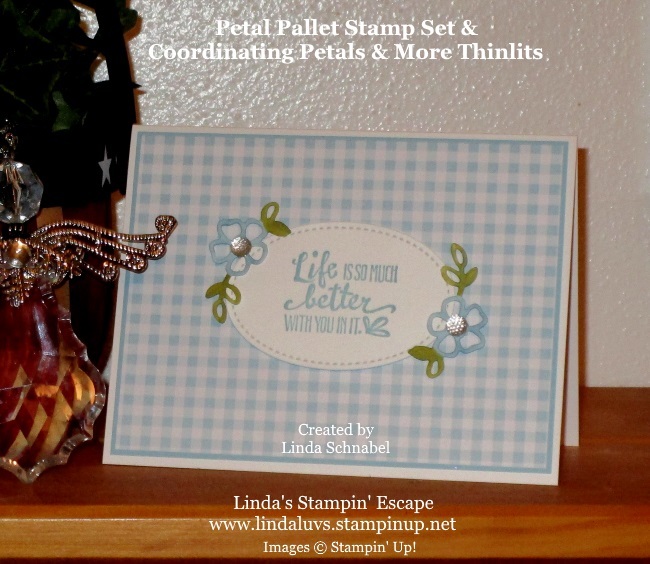 She used the die cut leaves and the petty die embellishment to draw your eye to the flowers. The background she used is now retired but it was one of my favorites … the polka dots. Love ’em! I hope you enjoyed Peggy’s beautiful card as much as I did. I’ve had it on my shelf and thought it was just to pretty not to share with all of you. Thanks for checking in with me today. See you tomorrow!